Marker Text A native of South Carolina, Samuel Allen Easley (1851-1933) came to Texas with his parents at the age of one. They settled on a large amount of acreage along the San Gabriel River in Williamson County. 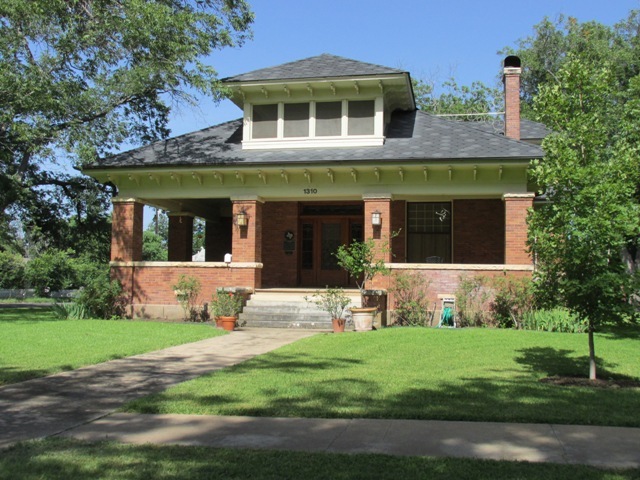 After managing the family farm for much of his life, Easley and his wife, Roberta (Crow), moved to Georgetown in 1913 and built this bungalow. The house, which features a broad hip roof, bracketed eaves, and wraparound porch, remained in the Easley family until 1968. Recorded Texas Historic Landmark - 1984.